Consumers who are looking for the best way to insure household goods while shipping overseas needs to take the time to educate themselves about the type of coverage available before making a final decision. When household goods are being transported overseas, the owner needs to make sure that they are properly insured against loss. Rather than look to the transportation company to provide this protection, the homeowner should make a point of buying coverage for his or her belongings personally. In situations where the carrier provides coverage, it is minimal at best. What Are the Most Earth-Friendly Transportation Methods? Companies shipping items over water are only required to provide up to $500 per package in coverage to customers. The definition of "package" is very broad and can include a single crate, a pallet, or an entire shipping container. The level of coverage that companies shipping items by air, ground, or rail are required to provide is similar to that of steamship companies. The insurance policies offered by shipping companies may contain exclusions that do not protect the homeowner for a number of potential losses. Having insurance in place is important when household items and other goods are being transported by water. The carrier must ensure that its vessels are seaworthy and that they are properly staffed. 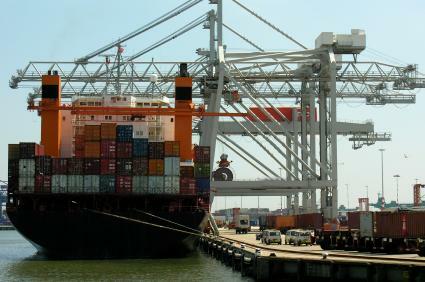 The company is also responsible for making sure that the ship is safe enough to transport the cargo. The owner of the household goods must buy a marine cargo insurance policy before the shipment leaves port or before any reported loss. The policy should cover the items starting at the point when they are on the pier, wharf or dock while waiting to be loaded on board the ship or the aircraft. In most instances, the protection to insure household goods while shipping overseas should begin the moment the items leave the home or storage facility and remain in force until they have been delivered to their final destination. If the items are being sent to an African country, the owner should be aware that the insurance protection is only in place until they are offloaded from the ship or plane on arrival. The insurance coverage will not provide compensation for any losses due to carrier delays. The insurance policy should include a provision where the homeowner can make a claim for non-delivery if the shipment is overdue and cannot be accounted for after 30 days. The homeowner should also be covered for losses due to theft and pilferage if he or she can provide satisfactory evidence of the same. Active duty personnel shipping household goods overseas for a Permanent Change of Station (PCS) should contact a representative from the shipping office to find out what coverage is provided by the military.